Mustaches for Kids Houston Update – Valenstache! Greetings fellow growers and those crazy lovers of growers. Wow, its been a while huh? How was your year? Mine was interesting and sadly mostly hairless. Well, on the upper lip at least. I thought I would pass along some info as we would usually be in our first or second week of growing by now. 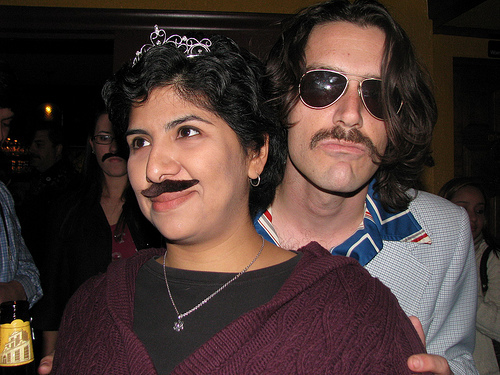 This year we are skipping the fall grow season in order to do a Valenstache grow. That’s right, you no longer have to photoshop your holiday photos but you will look ever so suave come Valentines Day. That special someone will love your crumb duster as you celebrate the most romantic, made up holiday ever! Greetings fellow Stachers! Tonight marks the Third Annual Mustaches for Kids Houston Sweetest Stache Bash. Come join in the revelry as we celebrate four weeks of raising money for Workshop Houston by claiming one grower to be the Sweetest Stache! What is a Sweetest Stache Competition? 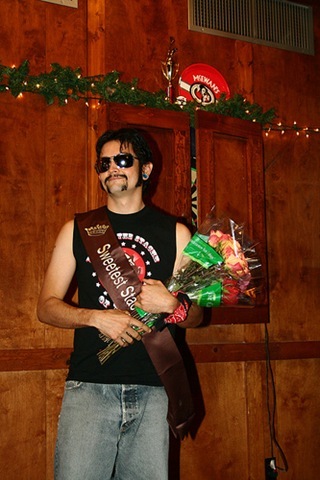 Think of it as a Mustache Pageant in the vein of Ms America. Our growers, competing in full costume, will going up against each other, mustache a mustache to see who will be deemed the Sweetest Stache of all! If any of you were at the last couple parties you know we like to have fun so bring your dancing shoes and lets do this! The always amazing Illustration Dan one-upped himself with this year’s Mustaches for Kids Houston logo. Seriously, this guy has mad skills. Check out the detail, the wheels alone are amazing – a true work of art! 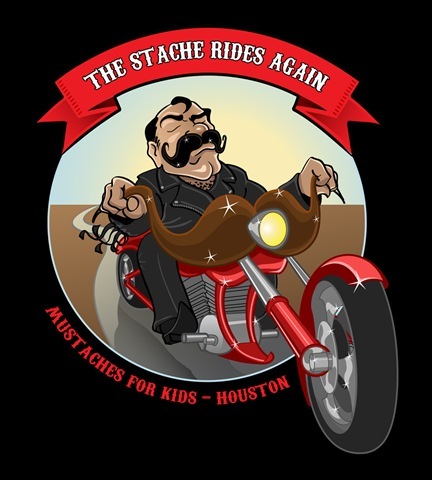 Stay tuned for details on where and when you can pick up some cool Mustaches for Kids Houston merchandise! Mustaches for Kids 2009 Grow Season Approaches! Greetings fellows Stachers! The 2009 Grow Season is approaching us so get your razors ready! This year the Houston chapter of Mustaches for Kids will raise money for Workshop Houston and we couldn’t more happy to help such a worthy cause as theirs. Workshop Houston’s mission is to provide youth with creative, technical and educational resources. Our vision is to lay the groundwork for a just society by creating a community that provides youth with support, expanded opportunities and alternative definitions of success. Workshop Houston has five shops that provide resources and support for young people: the Third Ward Bike Shop (do-it-yourself bike repair), the Chopper Shop (welding and metal fabrication), the Beat Shop (hip-hop music production), the Style Shop (fashion design) and the Scholar Shop (tutoring and academic enrichment). This years grow season will run from Thursday November 12 and ending with our Sweetest Stache competition on Friday December 11 at Coffee Groundz! That’s right the great folks at Coffee Groundz have given us the go ahead to host our 3rd Sweetest Stache competition at their fantastic Midtown location. Start your mustache planning today! Take care and my the fuzz be with you! Hey Houston, how grows it? I hope the grow season has bean treating you well, I know it has for been for me. Is your mustache becoming quite unsightly? Follow these easy steps to ensure you have the best groomed stache you have ever had.